One of the most common home styles in London is the Ontario cottage, popular from the early days of settlement right through to the early 20th century. Usually a single storey with a square plan, the Ontario cottage has one or two windows symmetrically placed on either side of a central doorway. A hipped roof slopes from a central point to all four sides. Although small, there's often an extension at the back. And while some are very simple, such as 23 Cathcart Street, shown at right, others have more ornate doorways and decorated gables, like 12 Cathcart Street below. Some would call "Ontario cottage" a misnomer. The cottage is actually found in many parts of the world and isn't native to Ontario. The style probably received its name because it's prevalent in Ontario and not seen so much in adjoining provinces or states. The style was influenced by Regency architecture, but, in fact, the Regency cottage can be traced back to a style of home brought to England by soldiers who had served in India. Once it became popular, it was naturally transferred to other parts of the Empire. After a few years in Ontario, the cottage changed a little. The pitch of Ontario roofs is usually steeper than English ones, probably to provide for more insulation against winter weather and to let the accumulation of snow slide off. The pitch was so steep that sometimes a half storey would be added under the roof and a Gothic window added to light the upstairs as in the ornate 47 Bruce Street shown below. 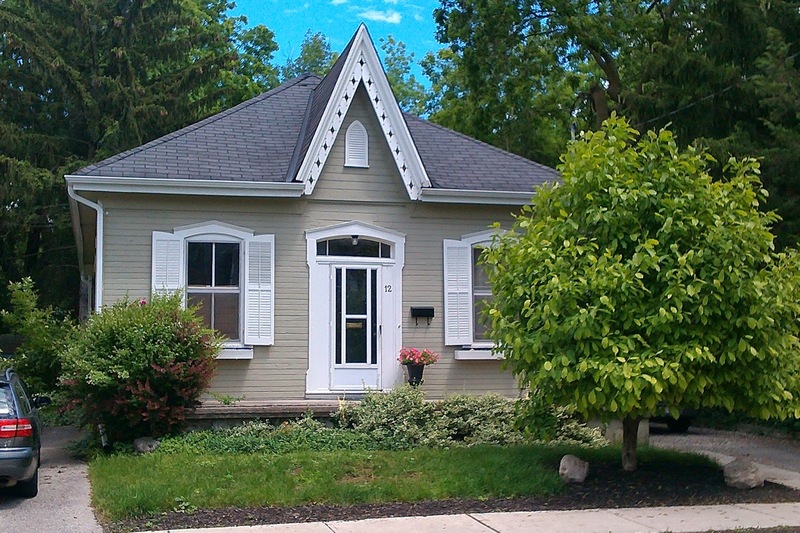 Hundreds of Ontario cottages are scattered throughout London's older neighbourhoods. 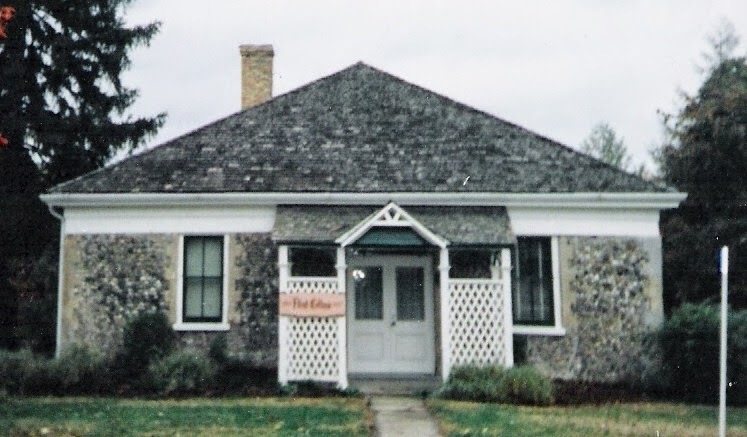 Often constructed for tradesmen, labourers, and clerks, the Ontario cottage must have been deemed the most practical and affordable home the average person could build. Cottages are still practical as starter homes or for singles and couples not requiring a mansion. A variation is the side hall plan with the front door on one side. 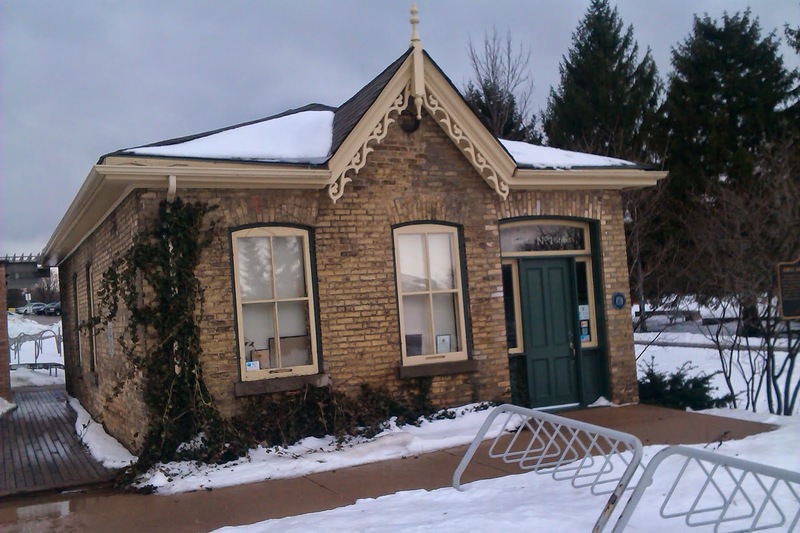 A cute example, shown below, is 1 Dundas Street near the Forks of the Thames, now the First Hussars Museum. 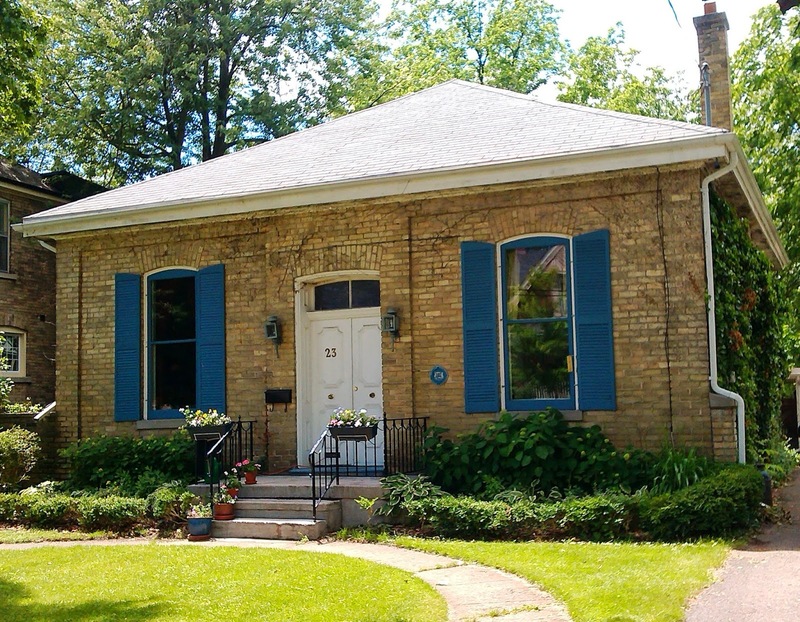 The oldest cottage in the city isn't found in the downtown core, however. Flint Cottage in Springbank Park, below, likely predates any other cottage in our area. Fisherman-turned-builder Robert Flint built the cobblestone buildings well known in the Byron area, including this family homestead, built 1837. The cottage remained in the possession of the Flint family until 1891 when it was bought by the London Board of Commissioners. It became a stop and shelter for the London Street Railway. Whether downtown, in Old North , Old South, Old East, Soho, Blackfriars, or beyond, there are enough cottage examples in the city to fill several posts. 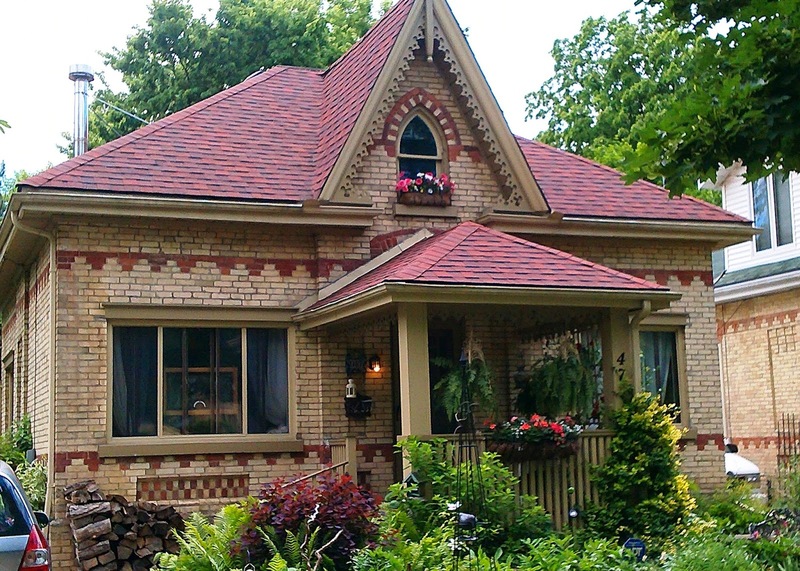 International and yet home-grown, quaint but somehow stately, the Ontario Cottage has become an integral and charming part of London, Ontario's architectural tradition. I would love to tweet this article...you should look into getting some share buttons. Im sure Blogger has some. We're buying one this week. 6 Cartwright. It's been encapsulated in aluminum siding but it's brick. Nobody tore the old part apart inside - it has original everything, windows, elaborate woodwork, plasterwork - crown moulding, even the original wavy window glass! Woodfield will only allow us to restore the old section which is exactly what we intend to do! Thank you for sharing and good luck with your project!